This was really well done. It's so true that people don't even want a stranger leering at them for more than a few seconds or standing too close to their conversation before feeling very uncomfortable, and yet so many people don't bat an eye that all of their personal photos and information are being spread all over the internet. It's this really weird disconnect and I think this commercial does a pretty good job capturing that. This is a strong suit for Apple, is privacy. They need to market what they value, it’s not just about the hardware, it’s about valuing the consumers security in today’s digital era of cyber crime. No other smart manufacturer values the consumers privacy and security the way Apple does, period. It’s one of the core reasons why I choose to support Apple. Well good thing you can change your default search engine. Then they should fire every Google and FaceBook App in their "store". If Apple is so concerned about privacy, WHY can't you reply to a FaceTime call in AUDIO ONLY mode? I've requested this for YEARS on Apple's website. Maybe you're not dressed or in the bathroom or having a bad hair day. SO SIMPLE to implement this. Sometimes I get a FaceTime call and I WANT to talk to the person, but I don't want them to see me. but unfortunately the the App Store is rife with data miners, loggers, trackers, and "analytics"... and that's just the App Store. Then you've got your cellular providers selling precise location data to the highest bidder regardless of what phone you use. I think the time has come to realize that "privacy" using a smartphone is a sham and a lie. It doesn't exist. Apple's narrative is very very misleading to the point of being harmful. This is brilliant. It’s a brilliant ad and a brilliant strategy. 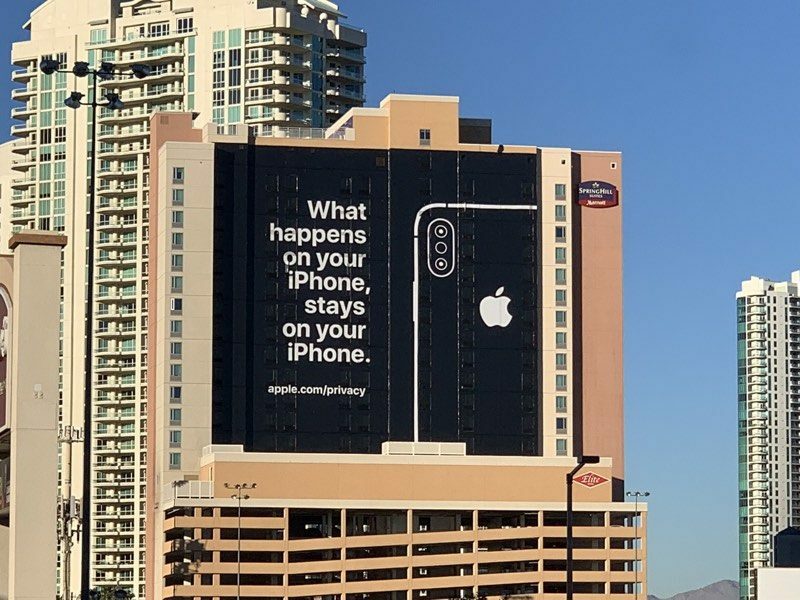 It’s a funny ad that everyone can relate to and it positions Apple as the only viable solution on a topic where Google can never compete on because Google’s entire business model is about selling your data — it’s antithetical to privacy. Great and funny ad. Well done, Apple.